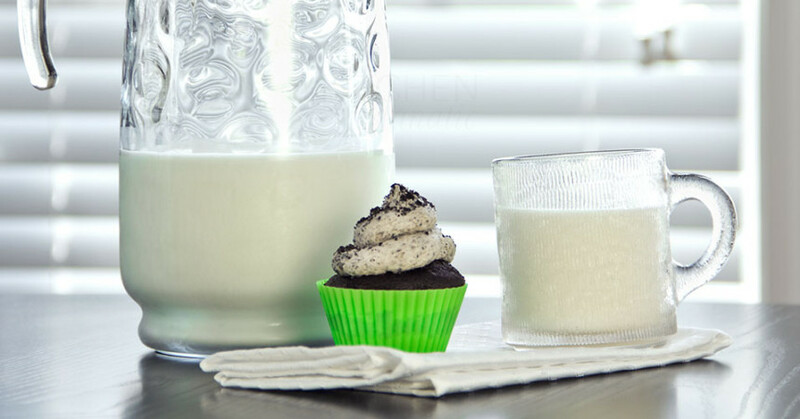 Just a little bit of chocolate heaven conveniently packaged all in one little cupcake recipe. Well, a regular sized cupcake recipe but that’s not really what’s important here. What is important is this amazing frosting loaded with chocolate sandwich cookies that tops these deliciously moist chocolate cupcakes.